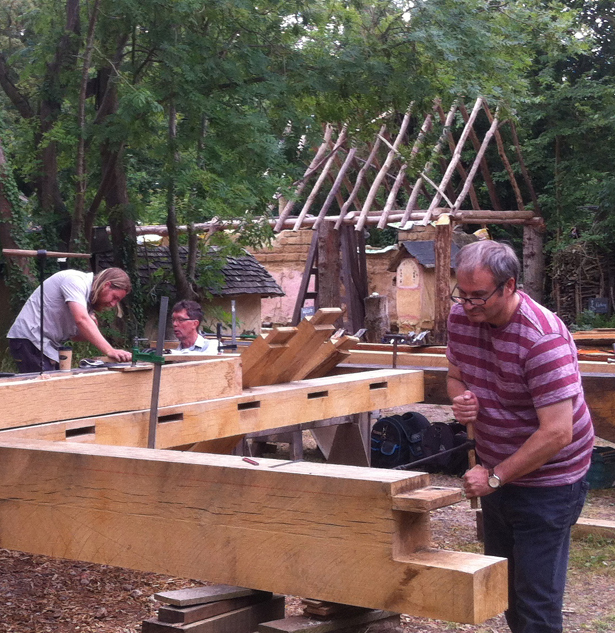 Get hands-on experience and skills reinstating a 1580 Suffolk Long House timber frame. Using essentially Medieval techniques you will learn how to cut and joint the components of a ground and first floor frame. Some carpentry experience needed. These five days are perfect for improvers, home-owners, conservation officers, architects, carpenters, builders, engineers, and anyone with a love of traditional timber framing who wants to get involved in the practical carpentry of a big timber frame. Hands-on experience and learning on the live reinstatement of our Suffolk Long House! Book your place now.